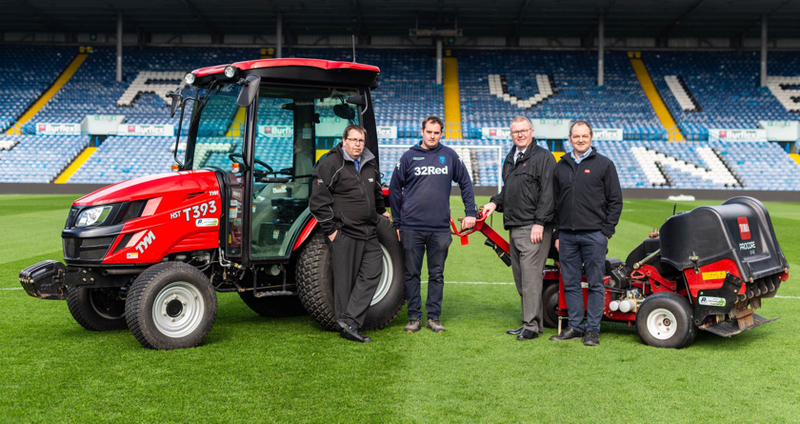 Kubota is continuing its investment into Ireland’s agriculture, groundcare and construction industries by teaming up with long-standing dealers Atkins and MP Crowley to host ‘Discover Kubota’. 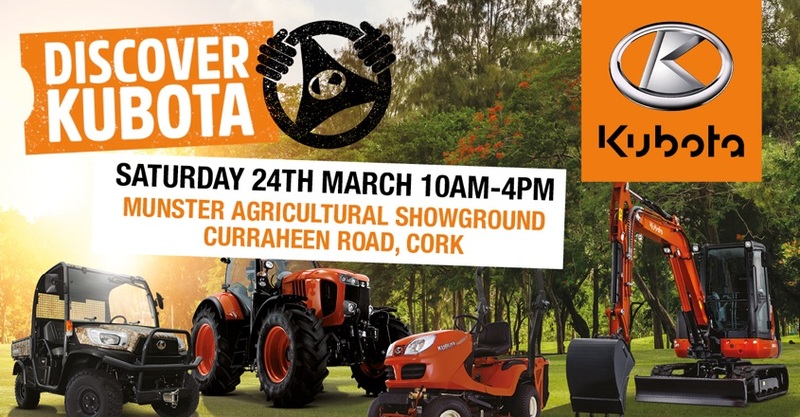 Taking place on 24th March, at the prestigious Munster Agricultural Society Showground in Cork, the event will offer Ireland’s farmers, ground maintenance teams and construction professionals the opportunity to test drive a wide range of Kubota’s innovative and high performance solutions. From 10am to 4pm, visitors will have the chance to find out more about each machine and compare various models, meeting machinery experts from both the dealerships and Kubota to ask questions they might have. 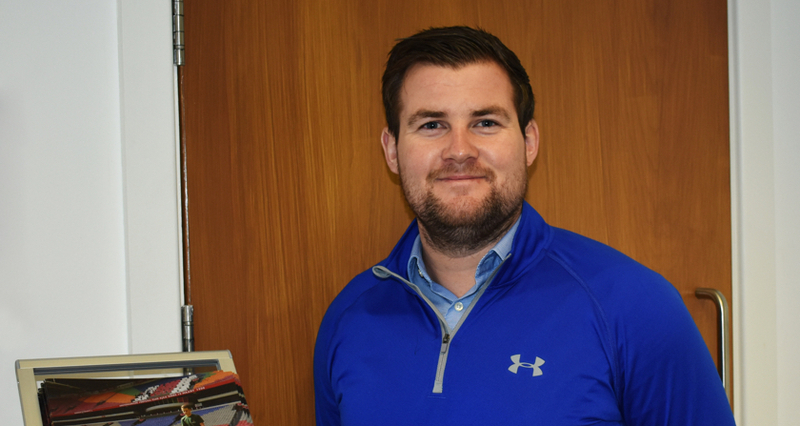 Mark Wolfe, Managing Director of Atkins, said: “As Ireland’s longest standing farming machinery business, we are committed to providing Ireland with the highest standard in machinery, which is why we have been a Kubota dealer for over 30 years. The upcoming event provides visitors with the perfect opportunity to have a go, get on the machines and see how they really perform. Throughout the day, visitors will have the opportunity to navigate various machines across its test track, travelling across different terrains and obstacles, including a river crossing which will enable them to discover which model can fulfil their specific requirements. 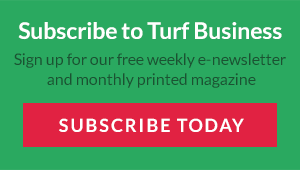 Kubota’s popular M7001, MGX-III and M5001 agricultural tractors will be available to test drive, whilst its leading groundcare machinery including its GR Series ride-on mowers and BX sub-compact tractors. A range of Kubota’s petrol and diesel utility vehicles will also be available to demo, including Kubota’s popular RTV-X900 model. MP Crowley will be providing a comprehensive range of construction machinery for users to operate, including mini-excavators, wheel loaders and track dumpers. Karen Tipping, Marketing Manager for Kubota UK, said: “The upcoming ‘Discover Kubota’ event is a great way for us to get in front of existing and potential customers to showcase first hand the capability of our machines. This is the first event of its kind in Ireland, raising our profile of what Kubota machinery has to offer across Ireland’s groundcare, agricultural and construction industries. Throughout the day representatives and service engineers from Kubota’s aftersales team will also be on hand to provide visitors with further information about its unique Kubota Care and Kubota Finance offerings.